While I was glancing through my twitter account, I happened to read the last tweet by Dr. APJ Abdul Kalam “Going to Shillong.. to take course on Livable Planet earth at iim. With @srijanpalsingh and Sharma.” The only thoughts that came to my mind after reading these tweets were – Such a noble soul. A huge loss to the nation, and for humanity at large! 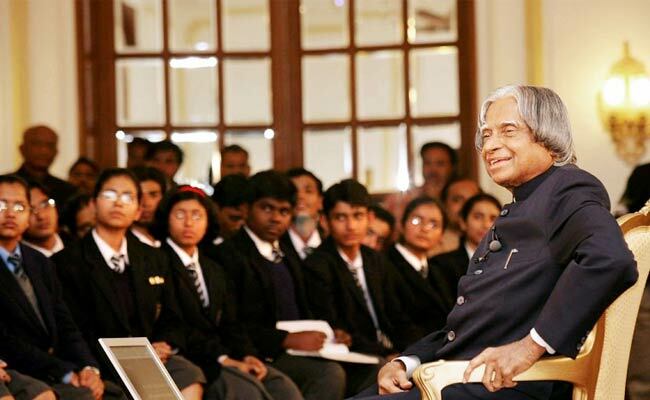 At 83, Dr. Kalam was bright and alert, as though he were a 25 year young man. His concerns and worries for India were genuine, and he always endeavored to work towards making India a superpower by 2020. 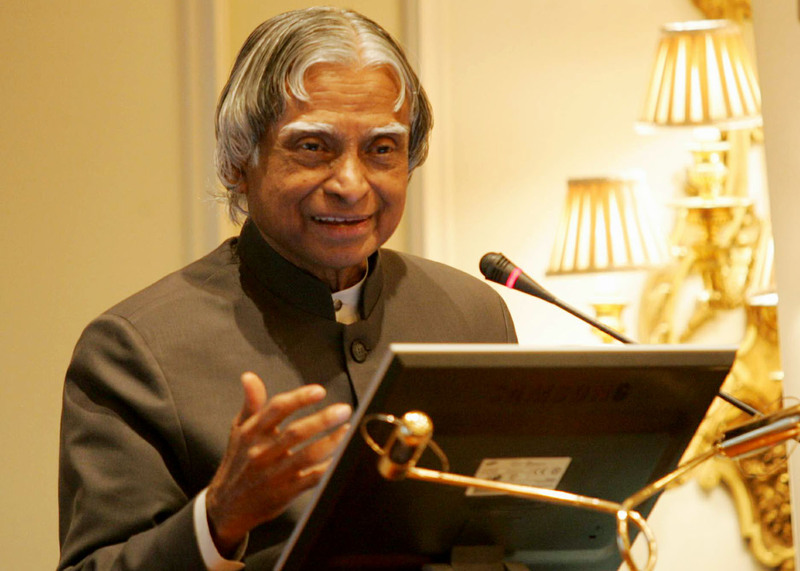 As the eleventh President of India between 2002 and 2007, he gained admiration and respect from the people of India. His popularity and love amongst children was enormous, and he did all he could to guide them to the right path. He utilized any opportunity that came his way to address students, especially school children, to dream big, so that they became achievers in life. He authored many books such as Wings of Fire, Ignited Minds, India 2020 and Turning Points. A career scientist turned reluctant politician, Dr. Kalam was born on 15th October, 1931 in Rameswaram, Tamil Nadu and studied physics and aerospace engineering. He was a recipient of several prestigious awards, including the Bharat Ratna, India’s highest civilian honor. After graduating from the Madras Institute of Technology in 1960, Dr. Kalam joined the Aeronautical Development Establishment of the Defence Research and Development Organization (DRDO) as a scientist. In 1969, Dr. Kalam was transferred to the Indian Space Research Organization (ISRO) where he was the project director of India’s first Satellite Launch Vehicle (SLV-III) which successfully deployed the Rohini satellite in near-earth orbit in July 1980. He was known as India’s missile man for ensuring the success of Integrated Guided Missile Development Programme (IGMDP). Don’t take rest after your first victory because if you fail in the second, more lips are waiting to say that your first victory was just luck. These inspirational words are sure to encourage everyone, and help them achieve their goals and mission. Come, let us take forward Dr. Kalam’s legacy and work towards fulfilling his dream of making India a superpower. If not by 2020, then at least by 2030! Dr. Kalam breathed his last on 27th July, 2015 at IIM, Shillong, where he was to deliver a lecture on Livable Planet. There would be no better tribute to him, than accomplishing his dreams of a prosperous, self-sufficient, and peaceful India. May his soul rest in peace. 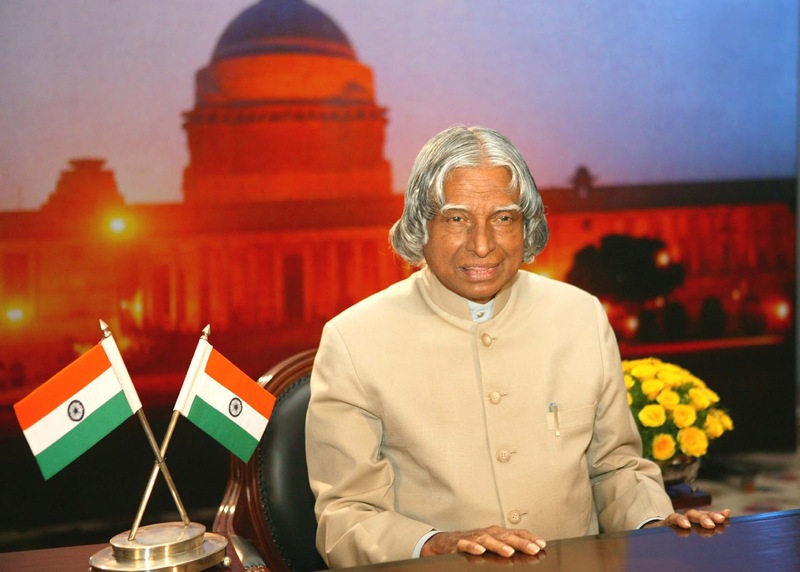 This entry was posted in Inspiration and tagged blogging, Dr APJ Abdul Kalam, dream, India, inspiration, life, nation, president, self improvement. Bookmark the permalink.